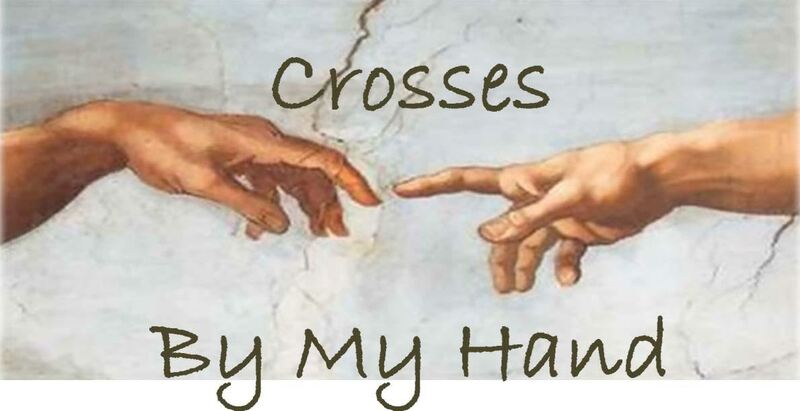 Crosses By My Hand was established about 30 years ago when Reverend Robert Conner decided to semi-retire and asked us to assume some of his enterprise. Since then, we acted as the wholesale supplier to Global Handcrafters. Due to their sudden and unexpected closing on March 24th, 2012, we are now your direct source for these beautiful, hand-made nail crosses. We are located in Spring Hill, Florida. 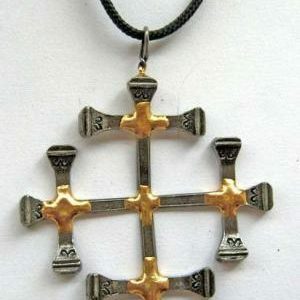 We make the crosses in our small home based shop and take great pride in the fact that each cross is completely handmade and no two crosses can be exactly the same. 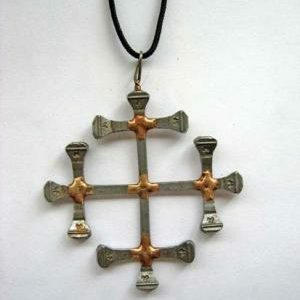 We share the feeling of many of our customers that the crosses have very specific and special meaning for each customer. 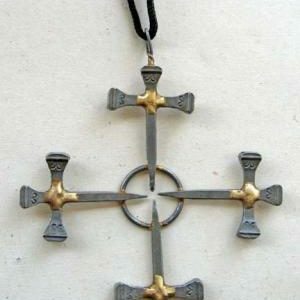 Our crosses are sold to individuals and groups, mostly church-affiliated, and used as gifts or fundraisers, confirmation remembrances, and in gift shops, etc. 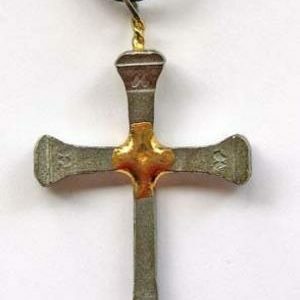 The crosses are often given for at, retreats and sold at conferences. They are also popular with teens. They are made to order so please give us the date needed when placing your order. 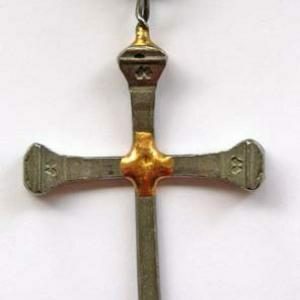 These handcrafted crosses can also be purchased singly as a gift. The manufacturing process is of interest to many of our customers. We use horseshoe nails which have a unique pattern etched into the head of the nail. 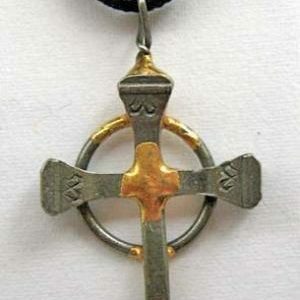 This gives it a rustic ornate quality. Nails are hand cut to the proper sizes by hand, then individually laid out on fireproof bricks and brazed in the center with golden brass. 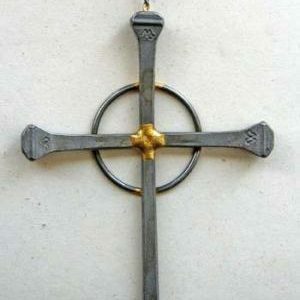 On most crosses, if you look closely, you will notice a slight dimple in the middle of the center braze, which serves as our signature. 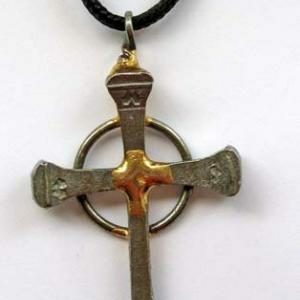 Our Celtic crosses have a ring brazed to the back (we create the rings by hand winding wire using handmade winding jigs). 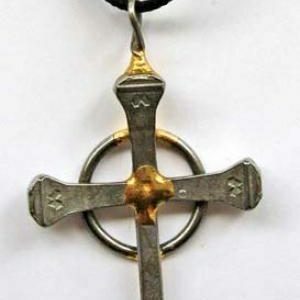 All of our crosses then have a hand twisted “eye” brazed to the top to allow a cord to be attached so the cross can be worn as a necklace. Wholesale accounts are our primary business designation as a “wholesale” account is at a complete discretion of crosseCrosses By My Hand, LLC. Please contact us with wholesale information. We will not compete with our wholesale customers. Thank you.